What is Vacuum Conveying? » Signature Series VAC-U-MAX Vacuum Conveying Systems for Bulk Dry Powders » Vacuum Conveyor Systems by Application » Metal Powder Handling and Additive Manufacturing & 3D Printing » Food, Pharmaceutical and Nutraceutical Industry » Waste Water Treatment Components, Accessories and Related Equipment Flow Promotion How Much Does a Pneumatic Conveying System Cost? 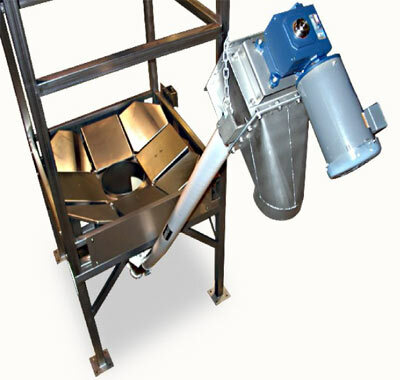 The VAC-U-MAX Aero-Flex flexible screw conveyors are engineered to transport dry bulk materials at a reduced cost. They convey powders and granular material without separation of product. 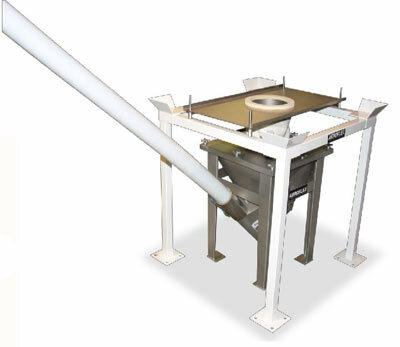 Also know as a shaftless screw conveyor the VAC-U-MAX Aero-Flex conveyor uses a heavier duty spiral then all its competitors which means less downtime. VAC-U-MAX guarantees the spiral for 2 years. 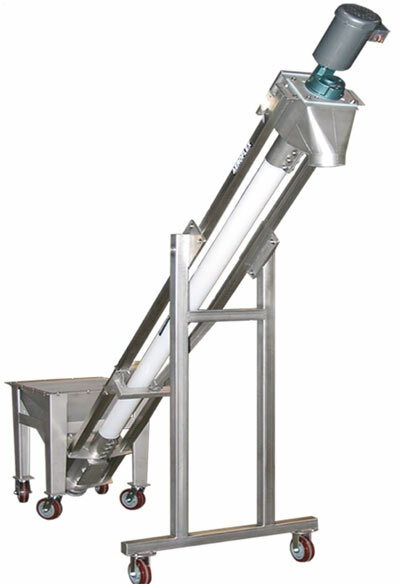 The Aero-Flex system utilizes a stainless steel or carbon steel one-piece helix, which is enclosed within a stationary plastic tubing, for transferring material from its feed hopper to the discharge point, quickly and efficiently. 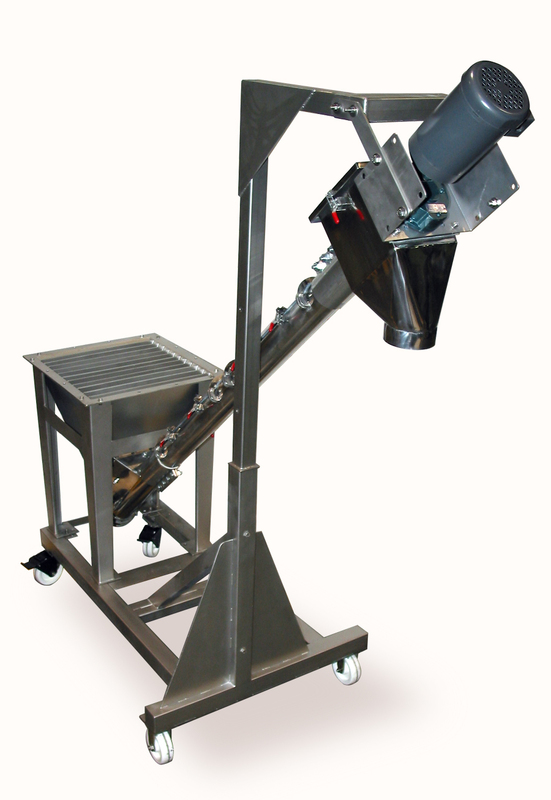 The AERO-FLEX is excellent for transferring most types of products including, Foods, Pharmaceuticals, Chemicals, and Plastics, from bulk bag unloaders, bag dump stations, and feed hoppers. Flexibility to meet most application and installation requirements.